In some duck and goose hunting situations, calling doesn’t matter. For example, few diver hunters carry a call, as divers tend to be less vocal than most puddle-duck species. And when birds have been pressured heavily, they sometimes learn to avoid even our most plaintive renditions of a lonely Susie. Additionally, if you’re not a great caller, remaining silent might be the best plan rather than bust a flock that’s working your spread. But duck calls have been around for decades; maybe centuries. Call manufacturers wouldn’t continue to produce them if they didn’t work. At times, calling really boosts your chances of success, especially when the call is in the hands of an expert. 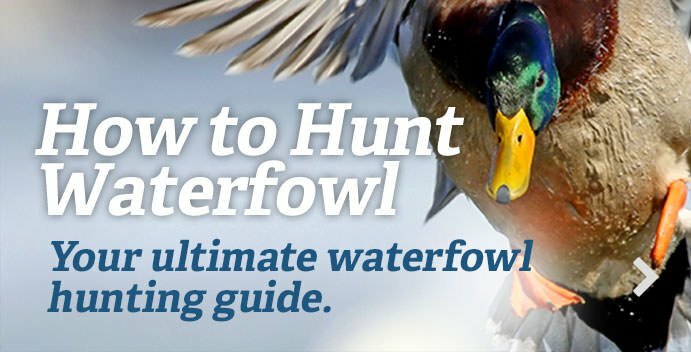 Calling can attract waterfowl at any time, but it’s most effective in two general situations: when birds haven’t been called to before and when visibility is low. In the former example, naïve birds simply haven’t learned to listen with a trained ear whether those hail calls are sincere greetings or siren songs. In the latter case, the lack of visual radar causes birds to rely much more on hearing as they try to navigate. Both situations are boons for experienced callers, and even novice callers can feel like pros at those times. Here are five situations when calling really shines. Opening day can be chaotic, especially on heavily hunted public areas. Often, the opener takes on a circus-like atmosphere, with tightly packed groups of hunters taking potshots at birds that other parties are working. In that scenario, trying to finish birds can be next to impossible. But if you’re hunting an area with light hunting pressure, you can really enjoy some great shooting. Birds will be unsuspecting and will generally accept almost any noise emitting from the barrel of your call as the real deal. Usually, on the opener, there’s no need to overdo it. If, for example, you’re hunting an early goose season and you’ve done your homework, you know where the birds are headed. They will probably land in your spread whether you make a peep or not, but making a few soft clucks or moans as they approach can reassure them that everything is safe. During the duck opener, you’ll be dealing with plenty of young-of-the-year birds, which have never been hunted before. They have no reason to believe the ducky sounds they’re hearing are anything but genuine. Making a few hail calls to high fliers or softer quacks to closer birds can help them find your spread, especially considering that early-season vegetation will be tall and thick. And again, that vocal reassurance can make them put down the landing gear. The fall waterfowl migration is arguably one of the most beautiful events in hunting. Birds that nested or hatched high in the arctic during summer can fly hundreds if not thousands of miles south in just a few days. Marshes that were nearly devoid of waterfowl one day can be brimming with birds the next. After local birds get shot at a few times, they quickly get wise to hunting pressure, and mid-season waterfowling often grows stagnant. But bless those new arrivals. They make hunting fun again. Young birds on their first migration might have never seen hunting pressure in sparsely populated regions of Canada, even though the season has been open for weeks. In effect, hunting those birds is like hunting on opening day again. Even adult birds that have made a migration or 10 already in their lifetime have grown a bit careless and unwary. How do you know when fresh migrants have arrived? Look for the presence of species other than the same old same old. The season’s first flights of divers are a dead giveaway, but don’t overlook flocks of greenwings, gadwall or other species that weren’t there the previous day. And watch how birds act. Local ducks might circle several times and still land short of your spread. But if a flock of mallards pitches right in, you can be sure they ain’t from around these parts. Treat those birds like it’s opening day, calling to them less cautiously than you would to stale, high-pressured birds. It’s natural for anything — ducks, geese or humans — to rely on other senses when one sense is impaired. Thus, when waterfowl can’t see well, they depend more on hearing. In addition, you can use calling to advertise your presence to birds that otherwise might not be able to see your spread while passing by. Those first 15 minutes of shooting light each morning, when it’s still pretty dark, are probably when calling is at its best during any day. After that, the sun rises, visibility improves and birds can get a bit more leery. But they are trusting souls at first light. Let ’em know you’re there with regular calling. Some of the very best waterfowling you’ll experience occurs on foggy days. Ducks and geese don’t want to fly in fog any more than you want to drive at high speed in it. Often, during such days, they’ll remain grounded for long periods in the morning, waiting for the fog to lift. But even if the fog doesn’t lift, their hungry bellies will eventually get the better of them, and they’ll move to feed. At that time, they’ll cling to bird sounds like a ship to a lighthouse. They generally fly low to the ground and they will come to your call on a string. No other calling scenario makes a novice look like such a pro. On the flipside, if you’re hunting in the fog, there’s almost no chance your decoys will get noticed if you don’t blow your tooter. If birds don’t know you’re there, don’t expect them to magically drop out of the sky in your lap. You probably can’t overcall in the fog. Loud hail calls will grab the attention of distant birds, but like light, sound doesn’t travel as far in the murk. If you hear wings overhead, put down the megaphone, but keep up with quiet coaxing to bring them in like an air traffic controller guiding a plane down for a landing. Call frequently in the fog and you’ll be amazed at just how trusting birds will be when they can’t see. Sometimes, the birds will be nearly in your face before you can even see them, making for some memorable shooting. Hunting flooded timber is one of the most classic duck calling situations. A flooded timber hunter would sooner leave his shotgun at home than his favorite mallard call. Here again, you’re dealing with birds that need to hear you to home in on your spread. A loud call resonates through the trees, alerting mallards from afar. Couple your calling with some spinning-wing decoys, a jerk rig and some old-fashioned water kicking to bring them to the X.